The Voice Messages tab displays your voice messages in an interactive list. 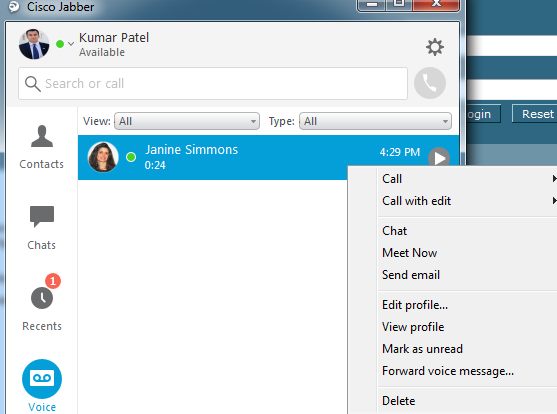 When you receive a voice message, you will see indication on the tab and the new voice messages will be displayed in bold. Select the Play button on the message to listen to the voicemail. Click the play bar to navigate to any point in the voice message. Use the Pause button to pause playback. 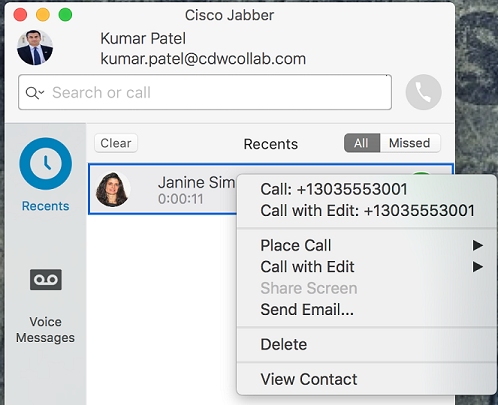 Right click on a voice message to Call Back, Forward, Mark as Read or Unread, or Delete the message.